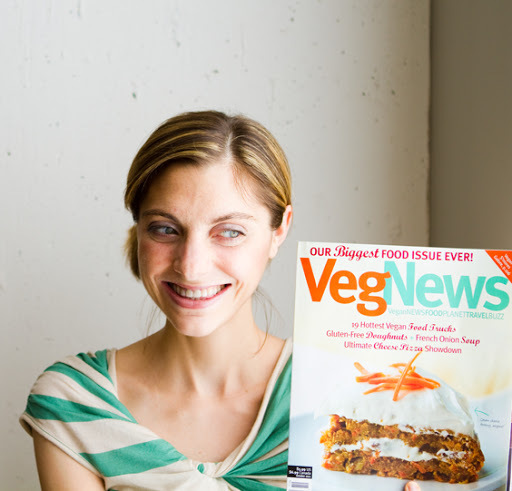 My VegNews Cover Photo! And a Dessert Shake Recipe. 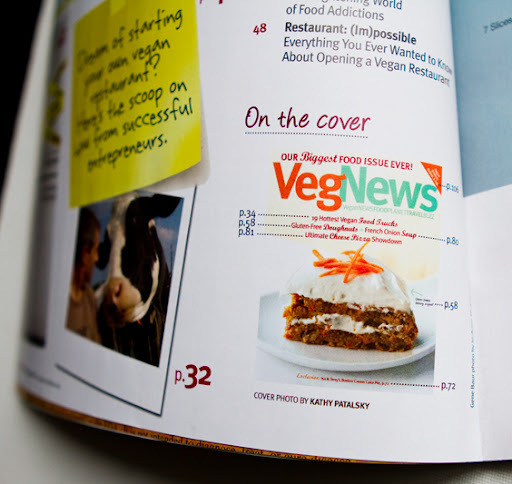 Oh yea, I'm so excited to finally hold in my hands the Sep+Oct Food Issue of VegNews Magazine - with my Pumpkin Carrot Cake photo on the cover. 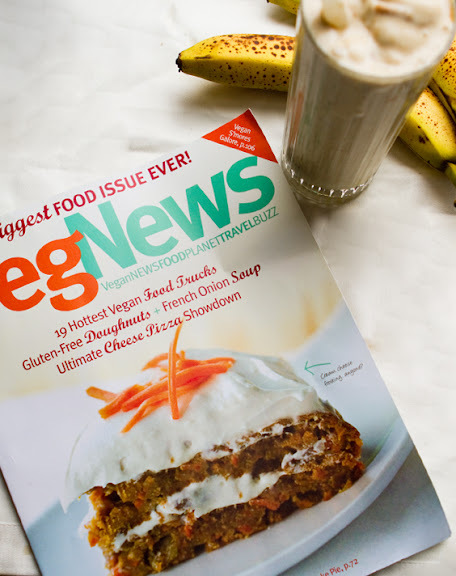 Take a look inside the issue and toast with me! 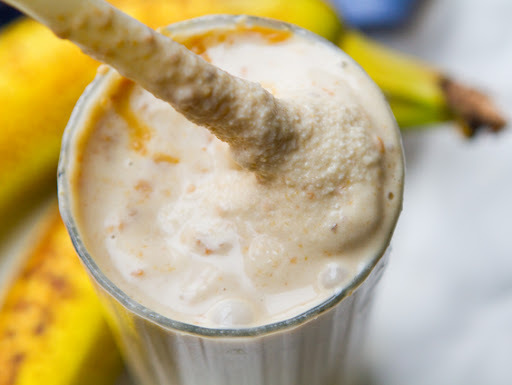 I'm cheers-ing with a tall, frosty Peanut Butter Banana Shake. Recipe and more mag pics ahead!.. The Hunt. 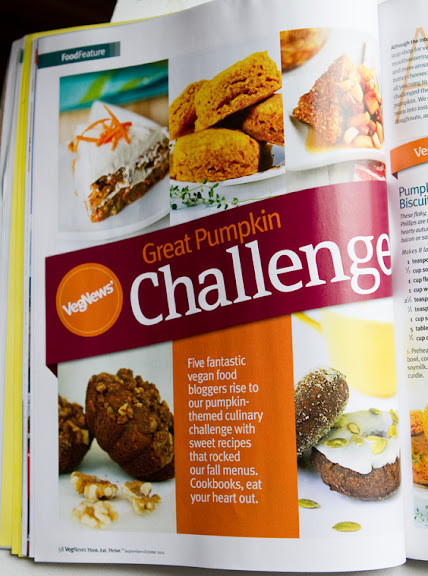 All last week I had been strolling into Barnes and Noble checking and waiting for the Sep/Oct issue of VegNews Magazine to be stocked. Nope. Nuthin. Funny how their cafe had pulled out the Halloween themed ghost and pumpkin shaped cookies (already!) 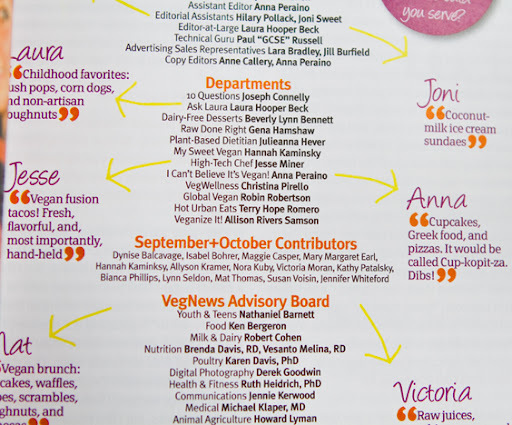 - but the September issue of VegNews? Nope. One of my friends in NYC told me she spotted it in Moo Shoes. And another friend had it delivered to her mailbox days before. But I had yet to find my very first cover photo mag. The hunt continued..
Then finally, on a super stormy pre-Irene day, I wandered into Whole Foods. 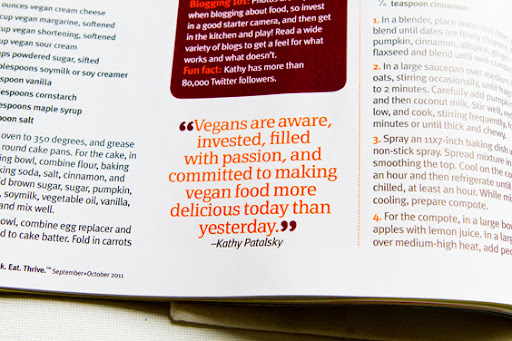 I was reaching for a fuzzy peach in the produce section and spotted my photo on the new VegNews issue, stocked right above Food and Wine Magazine. I squealed. speechless, I grabbed my husband and pointed to the magazine rack. He looked at me confused. What? Peaches? It took him a moment to realize what I was pointing at. 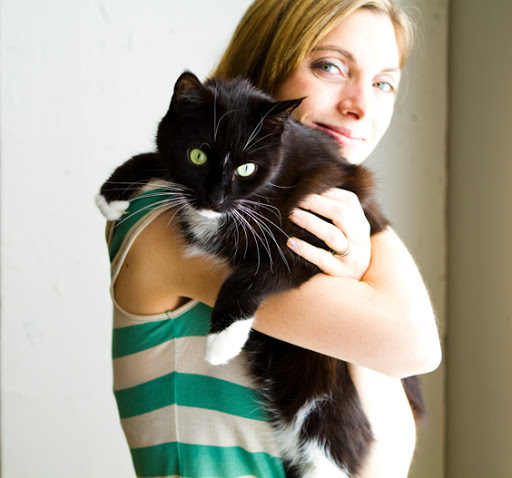 Then he joined me in speechless delight. I grabbed a copy. What a thrill. 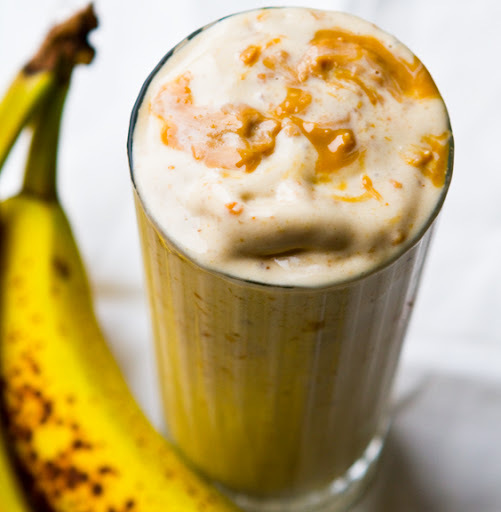 When I got home, I blended up this Banana Peanut Butter Shake and flipped through the magazine. 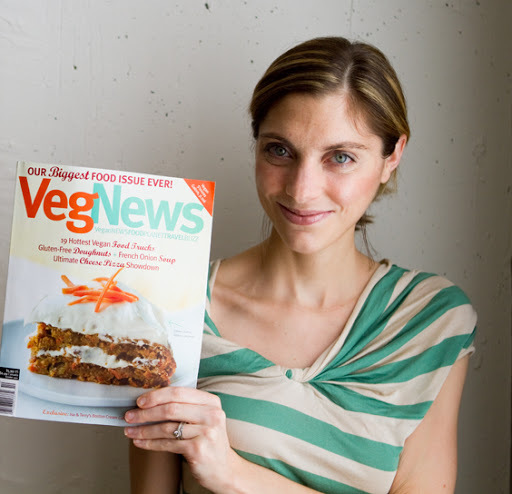 Thumbs Up VegNews. 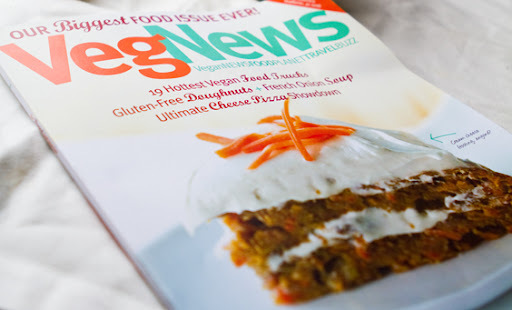 As I chatted about in this post, I'm so incredibly proud of VegNews for stepping up their photo game and showcasing vegan food photos - controversy officially resolved in my opinion. So for those who have wondered or whispered on comment threads, yes the cover photo is 100% vegan - and totally delicious might I add. You can find my cake recipe in the interior of the issue. 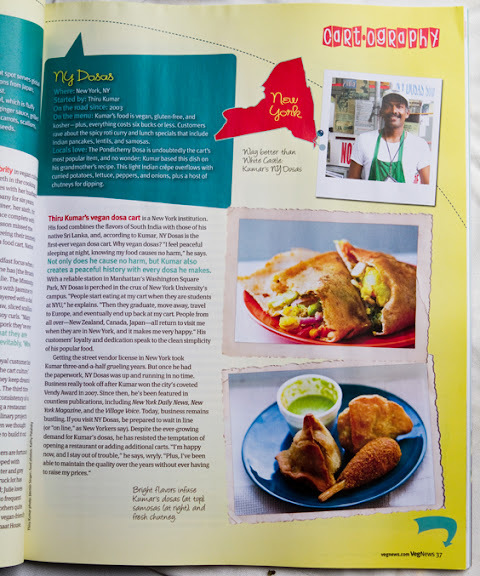 A look inside the issue (my shake recipe ahead too)..
You can also see two of my photos in the Vegan Food Truck/Cart section! My fave NYC vegan cart - the dosa guy..
Shake-spiration: Really good peanut butter..
Banana PB Shake. I've been making this shake a lot lately. I love it because it is so easy (very few ingredients) and it totally tastes like an ice cream shake. 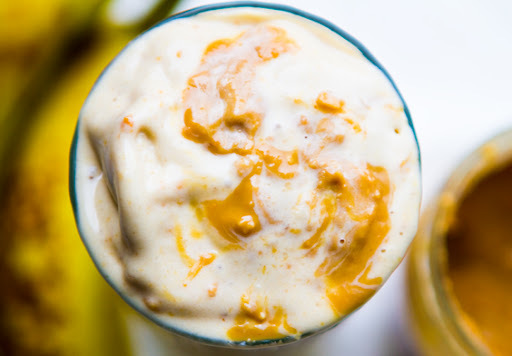 OK, so it's infused with heaping spoonfuls of high-fat peanut butter, but "nut fats" are oh so much healthier than traditional shake saturated fat from dairy. so indulge your shake craving. 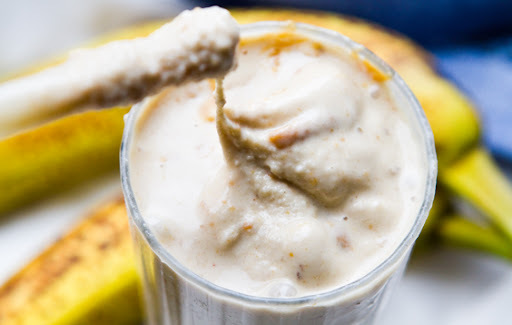 The secret "frosty" texture ingredient is the frozen extra-ripe banana slices. tip: if you are having trouble blending the frozen bananas, add in 1/2 fresh banana to loosen the blend. 1. 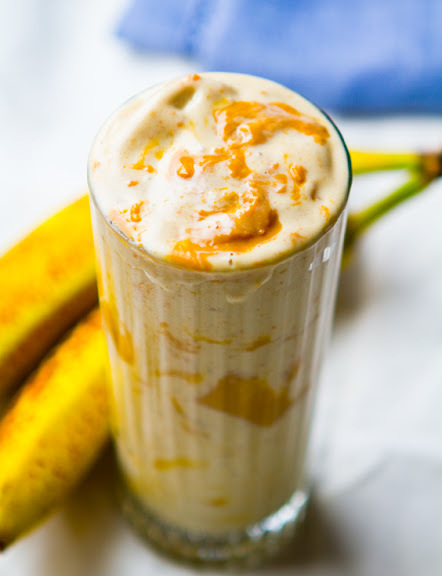 Add you frozen bananas, maple syrup, peanut butter and 1/4 cup liquid into a high speed blender - my Vitamix (..free shipping with my link if you are interested in buying a Vitamix!) blended this shake perfectly. 2. Blend on low until the bananas are chopped into smaller bits. Then turn blender to a higher speed - adding extra liquid (as needed or desired) until creamy. 3. 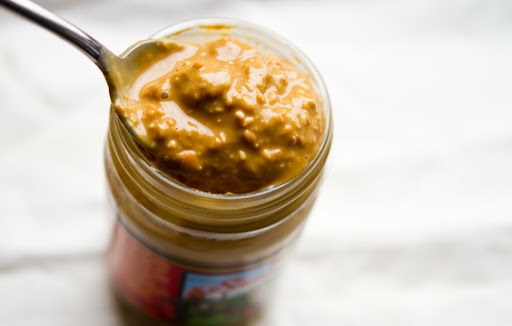 Pour into glass and add the extra Tbsp of peanut butter in layers as you pour - swirl effect at top.